I just received my order #99941. I am so pleased with the quality, the professional packaging to protect the plates, and the rapid processing and delivery of the product.These plates are perfect for my 1988 MZB 560 SL.It's nice to see a company such as yours in the marketplace that truly cares about quality and professionalism. Hello,Just here to say many thanks for the job well done. I am very happy with my San Marino and Italian license plates. Here are some new pics taken yesterday from my 1988 Lamborghini Countach showing all the good work from licenseplates.tvSincerely,Allen M.
I just got my 4th plate from you today and I continue to be amazed by the quality of the product. Right down to the proper size and no-hole orientation of the 55 NY plate (I only learned that by going back and visiting the site). Thanks so much. You've helped to make several old cars of mine, my brother's and my best friend even more period-authentic. Great product and well worth the expense for something done with such a high level of quality! I guess that might be silly, since the originals were made by state prisoners ... but that's another story!!! My custom license plate is wonderful, awesome! Thanks so much! Thank you very much. I did receive my license plate and have it on my car. It was a pleasure doing business with you. Such wonderful customer service is very hard to find these days. I will certainly recommend you to my friends. By the way did I tell you that I LOVE IT!!!! Copyright © 2002-2019 Autogeardepot.com, Inc. All rights Reserved. Licenseplates.tv went live in June 2003! We take this opportunity to thank our customers for their continued support and requesting we manufacture their custom license plates. Our team at Licenseplates.tv is always listening to you – our customers. During the past 15 years, we have dedicated our resources to exceed our customers’ expectations. 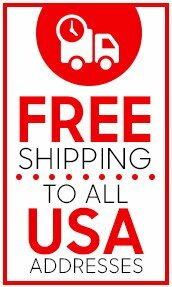 From car hobbyists to major global corporations, Licenseplates.tv has delivered the most unique license plates. 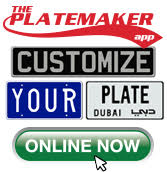 From custom license plates used as interior decorations in upscale buildings to license plates used on cars in the filming of major motion pictures and TV commercials to license plates installed on fine automobiles at high-end auctions to year-of-manufacture license plates for vehicles at weekend car shows, Licenseplates.tv has a plate for everyone. During the past 15 years, we have shipped our personalized license plates worldwide – from Australia to Switzerland covering nearly 90 percent of the countries around the world. Our heartfelt THANKS!